Are you looking for some free software to recover your lost files? Are you worried because you are unable to recover all of your lost files through any free software? Stop worrying because you are now at the right place! Here, you will learn about a best recovery software that will propose a number of benefits to you. Let's start! EaseUS data recovery wizard is basically such a software that allows to easily recover all of the lost files without any issues. Suppose you have great memories of your life's best moments in the forms of pictures and videos and suddenly, you lost them all. Not matter whether you deleted them all by mistake or someone else did it either unconsciously or for any reason, it would make you in trouble. It would destroy your peace and you couldn't sleep soundly until you get those most wanted memories back. What will you do in that case? You would be ready to do anything to get your memories back at any cost. In order to help you in such situations, EaseUS data recovery wizard acts as a life-savor. It provides you the best and easiest interface to recover all of your lost files without any problems. Let's learn about how to use this software for Mac data recovery. Install and launch the EaseUS data recovery software into your Mac notebook. Once it will be launched, it will start scanning your storage devices/drives by itself. It is known as the Quick scan. When the scanning is done, it will show you the list of deleted or lost files, you can select the desired files and click on recover button. As a result, your files will be recovered but make sure to save them into different location this time than their previous locations. However, it you feel that your desired files are not shown on the scanned files lists, then click on the deep scan. It will deeply and thoroughly scan your notebook for lost files and you can then recover them by following the instructions. The best advantage of using EaseUS data recovery wizard for Mac is that it allows you to recover all of your files for free up to 2 GB. You will not find any such software on the internet that allows to recover such large data on Mac OS. In contrast to others, you can easily download the EaseUS data recovery software on your Mac notebook for recovering as many files as you want. When this limit of 2GB ends, then you will be required to pay a little price for recovering more data but this price completely worth its advantages and features. Another amazing thing about this Mac data recovery wizard is that all of its features are fully available in even free version. You must be surprised about how this is possible but yes, it is true and you can try it yourself. EaseUS really cares about you and fully dedicated to help you in such difficult times. Therefore, it provides all the advanced features to you on your Mac OS even in its free recovery limit. In contrast to EaseUS recovery software, you will not find any other software that will give you advanced features in its free version. Most of the time, when you use a software for the first time, you face difficulties about how to use it. When it comes to recovering your files, a complex recovery software will double your level of stress as you will be already worried about your lost data and the complexity of the recovering software will trouble you more. In order to keep you calm and reduce your level of stress, EaseUS data recovery software for Mac presents the easiest ever interface without any overloaded tools or functions. Whether you are using it for the first or not, you will never find any difficulty in running in on your Mac OS or recovering files from there. 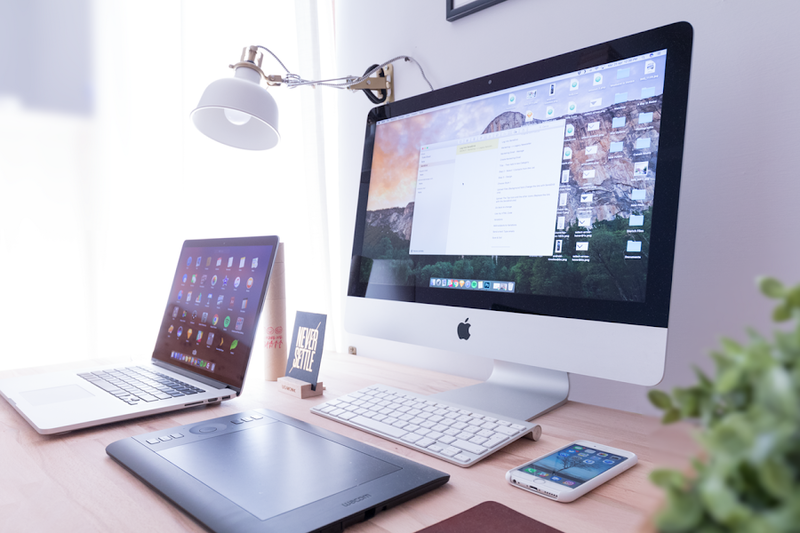 Another greatest advantage of this software is that it supports different file formats so that you can easily recover different files on your Mac OS. By using this software, you can recover your images, videos, audios, and even documents in different formats without any trouble. For example, you can easily recover images in .jpg format, .gif format, or .png format etc. Last but not the least, you can effectively recover all of your lost files in minutes by using the EaseUS data recovery wizard for Mac free 11.9. It helps in saving your precious time while resolving your worries in minutes. You are allowed to recover unlimited data in the pro version. Furthermore, you will have the free technical support for lifetime with paid version. By the way , you can get the Pro version by lowest price at 50% off Now. Read Next: The evolution of Apple in epic infographic.